I'd never had my hair coloured professionally, my mum is the most talented hair dresser (now scientist to the stars) and has always had full creative control over my tresses. This was, until the opportunity to go and get my hair coloured at the Lisa Shepherd Express Color Bar* cropped up. 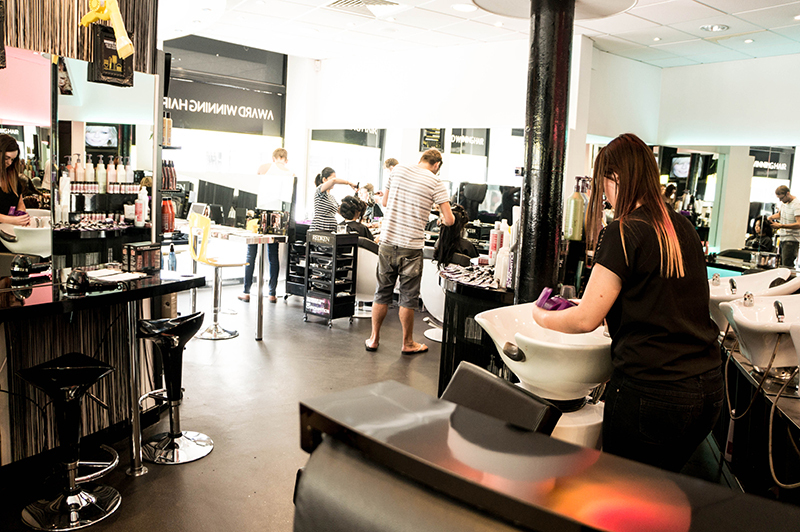 In a convenient location 5 minutes walk away from Oxford Circus tube station, this salon offers a truly bespoke service. 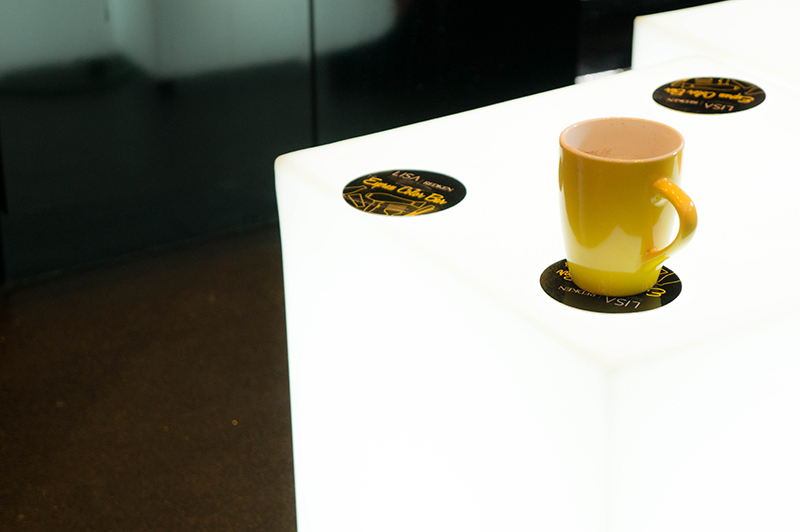 After settling into the waiting area and getting to self serve hot or cold drinks (ideal, in my opinion), you are led over to the 'bar' where you're then handed a menu to pick what you would like done. The price list and range is fantastic and everything is guaranteed to be done in an hour or your money back! For £15-30 that's a pretty good endorsement. Considering I had some awful red box colour still refusing to budge, I opted for the 'Glossy Locks' experience where Mark dyed my hair a lovely shade of chocolate brown to cover the last of the red and make my hair shine. The best part of my experience had to be that I bumped into the beautiful LaaLaa of Dolce Vanity. So unexpected and I'd missed her so much! Best surprise and we had a little time for a natter between sink hopping, colouring and blow drying. 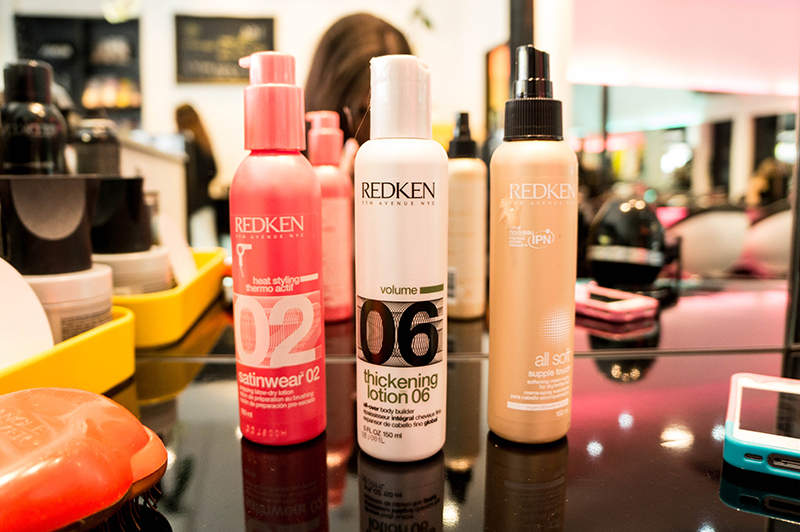 After the Redken colour was washed out, I went for the real Colour Bar experience and was placed at the blowdrying station. I went to town on all the Redken products at my disposal and was thrilled to see the end result. 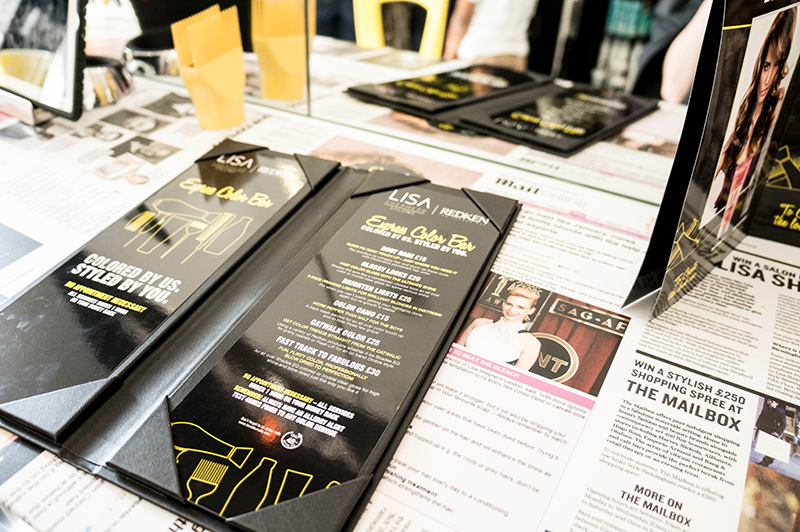 Would you visit the Lisa Shepherd Express Color Bar? *I was lucky enough to have my hair done for free, but would go back again in a heartbeat. My first salon experience was a success! Oooh you lucky thing! Looks like such a fun place, and your hair looks awesome! Thanks Rosie. :) I felt sorry for Mark because I went home straight after this and had my hair cut off! But, it is such a lovely colour still. Sounds absolutely brilliant. I am hoping to get over to London after Christmas and I feel a late present to myself coming on here for sure. Love the way it is set up and the price point is unbelievable. So good to see there is another opening in Birmingham too. Where I live (in the Isle of Man) it is at least £50 to get a basic colour. I get the impression you would have happily paid for it too, which for me is a great endorsement. Definitely have a look in because the full £30 even does the blowdry for you if you didn't fancy the self-serve station. 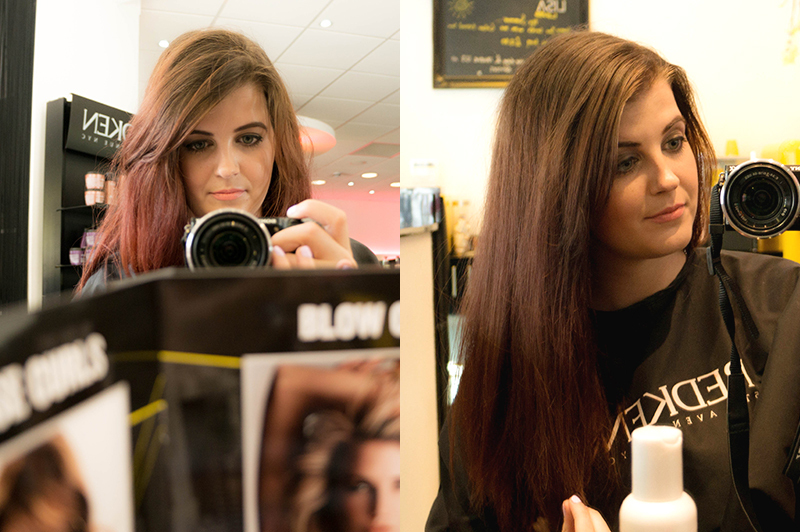 I went for it as I wanted the full experience but would probably pay the £30 next time and have it professionally blown out. 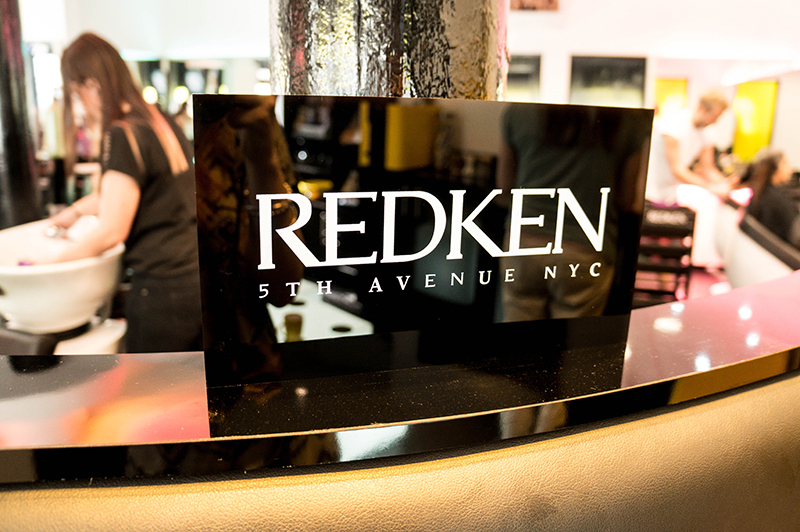 Redken products are to die for! Your new style is great, but ahh my god am I a sucker for the swept to the side, parted look. That pic on the left where you're looking straight on, hnng is that alluring. 2x ASOS Gift Voucher Giveaway!